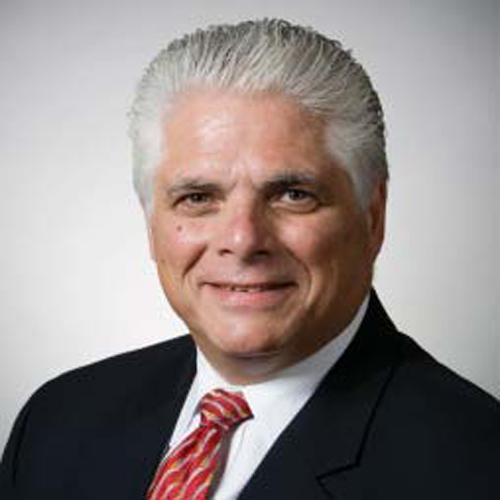 Joan Capelin interviewed Tony Schirripa, chairman and chief executive officer of Mancini-Duffy, for the 18th interview of the “Sound Advice” series. The podcast provides Tony’s perspective and advice on how to build a strong organization; taking risks in a recession; the importance of financial and business planning; keeping the interns; and communicating in tough times. Tony Schirripa has been at the helm of Mancini Duffy for 14 years and was an important part of the Gensler organization for 15 years before that. He has been a driving force in Mancini Duffy’s transition and transformation from a mid-sized, local practice to a multi-office firm with a diversified client base and international reputation. An architect by training, he has specific expertise in large, intricate projects for financial, media, and real estate development companies – all of whom share a “speed-to-market” approach to business. He has also earned the firm a reputation for workplace design. Tony’s emphasis on strategic planning, investment in technology, and training, as well as his businesslike approach to project and practice management are the foundation for the firm’s growth. The firm received the 2009 IDP award from AIA and NCARB for its approach to training young professionals, and professional development in the theme of Tony’s coming year as president of AIA New York Chapter. Honored as the 2009 Outstanding Alumnus by Texas A&M University’s College of Architecture, he also serves as Vice Chairman/Architecture of the influential New York Building Congress, on whose board he has served since 1985. As a result of this involvement and outreach, he has been in a position to routinely advise City commissioners and the Mayor’s Office on policies that affect design and development. Click here to listen to Tony’s interview. Visit our “Sound Advice” page to hear other podcasts in the series. This entry was posted on October 27, 2009 at 2:10 pm, filed under News.